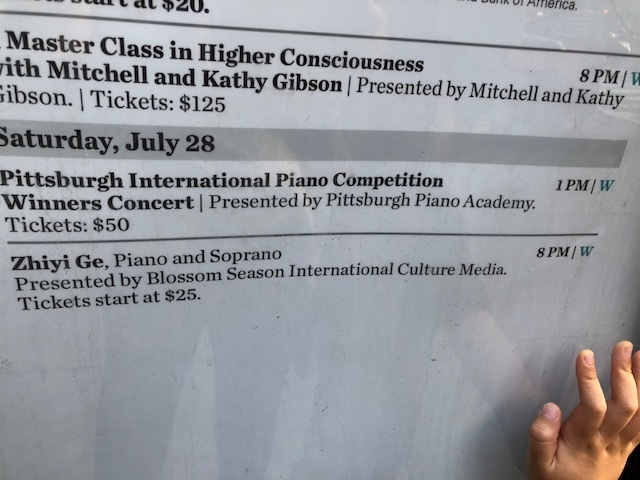 Pittsburgh Piano Academy is dedicated to provide music lessons to students of all ages. We are committed to enriching students' musical training by providing a quality music lessons. We offer group piano lessons, private piano lessons, audition/competition preparations, and adult piano lessons, at affordable rates. Students are encouraged, but not required, to perform in our showcase recitals at various locations and venues in the Greater Pittsburgh area. Classes are run on a semester based schedule. No student is committed to the academy for more than one term at a time, though many students have been with us for many years. We also offer summer programs and camps that will excite children of any age and ability. No matter if you are looking for musical enrichment for your child, or seriously considering music as a career, or stroke recovering patients using piano playing as part pf the rehabilitation effort, Pittsburgh Piano Academy is the right place for you! Please check out our webpages and we look forward to hearing from you! ENROLLING NOW FOR SPRING 2019. PPA NOW OFFERS PRIVATE LESSONS IN PIANO, GUITAR AND VOICE LESSONS. CALL US TODAY FOR DETAILS. We now offer guitar and flute lessons and other instruments as well! Please contact us for more information. For enrollment details and rates, please visit the Program Page. Pittsburgh Piano Academy is sponsored by Modern Piano Store located at 11883 Old Perry Hwy, Wexford, PA.
Modern Piano specializes in player piano systems, including both Yamaha Disklavier and PianoDisc IQ models. Since 1980 we have offered a full range of service, with over 3,000 fully custom installations completed. The superior quality of our work is un-matched in the industry, giving you the piece of mind that you job will be done right. ﻿Call at (724) 934-5397﻿.